There are certain distinctive patterns which are synonymous with untamed Africa, and perhaps none more so than the dazzling black and white stripes of the elegant zebra. The Mountain zebra, split into two sub-species – the Hartmann’s Mountain zebra and the Cape Mountain zebra. The former is found in Namibia, Angola and South Africa’s Northern Cape province whilst the latter exists predominantly in the Western and Eastern Cape provinces of South Africa. Although some zoologists have suggested that the two sub-species should be reclassified as separate species, recent taxonomical work has shown that there is no strong evidence to regard the two as anything more than geographically-distant populations of the same species. 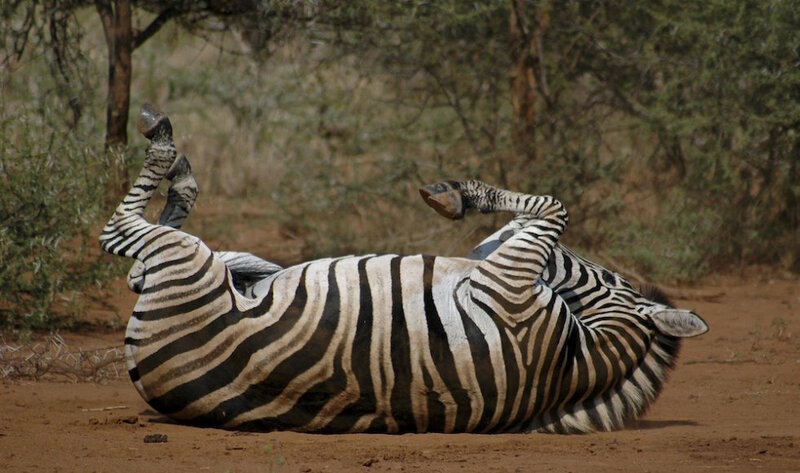 Since the Grevy’s zebra is not present in South Africa, the issue of identifying this species will not be relevant to most South African safari-goers. For this reason, we have chosen to focus on the two species that most often coexist in South African reserves – the Plains zebra and the Mountain zebra. A medium-sized, stocky animal, the Plains zebra is the most common and geographically widespread of all zebra species. This relative abundance, coupled with its preference for open, grassy habitat, makes it the zebra species you are most likely to come across on safari. Although once plentiful in at least 19 African countries, the Plains zebra (Equus quagga) is much less numerous than a few decades ago, and the IUCN has now designated this species as ‘Near Threatened’. Human activities such as hunting for meat and hides as well as habitat loss have impacted on Plains zebra numbers, however they remain common in game reserves. Highly gregarious, Plains zebras are known to congregate in herds numbering in the tens of thousands, and migrating alongside wildebeest across the plains of East Africa. Their bold black-on-white stripes (or is it white-on-black?) traverse the body vertically towards their head and horizontally towards their hind-quarters. No two individuals are exactly alike, and zebra foals imprint their mother’s pattern within hours of being born so that they can recognise them in the herd. The stripes also act as a tool to confuse predators – when under threat, zebras will bunch together in a herd and their stripes blend into each other, making it difficult for a lion or leopard to distinguish one individual. Thick black and white stripes are bold and prominent on the body, but tend to fade on the legs. The stripes on the Plains zebra’s side run down and join under the belly. Plains zebra occur in almost all habitats except thick riparian vegetation. They prefer grasslands and open woodlands and are water-dependent. Breeding herds of up to 80 are common, and Plains zebras congregate in much bigger herds when food is available. The Plains zebra is typically slightly larger than the Cape Mountain zebra, but with smaller ears. The Plains zebra sub-species that once roamed the Great Karoo, where Samara Private Game Reserve is situated, was actually the Equus quagga quagga, known as the quagga. This sub-species is now extinct, having been shot out by settlers in the 19th century. This zebra had stripes on its head and forequarters, but the rear part of its body was brown. The last wild quagga are said to have been observed in 1858 near Aberdeen (65 km from Samara), and the last quagga in captivity died in 1883 in the Amsterdam Zoo. Today’s modern-day Plains zebra is the quagga’s closest living relative, and it performs similar ecological functions to those of the quagga, most notably grazing. More than 100 years after it went extinct, there is a project to selectively breed Plains zebras to ‘bring the quagga back‘ by encouraging the phenotypical characteristics of these brown zebras. The Cape Mountain zebra represents a conservation success story. From only 13 individuals in the 1930s, the population is now estimated at 5,000 individuals. The smallest of all zebra species, the Cape Mountain zebra (Equus zebra zebra) used to range widely in the mountainous regions of South Africa’s Eastern and Western Cape provinces. As a result of hunting pressure, the species was virtually eliminated by the mid-1930s. 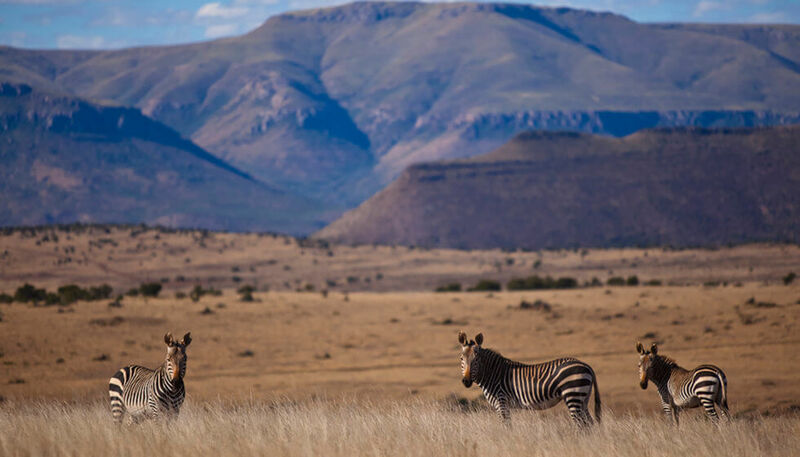 The proclamation of the Mountain Zebra National Park near Cradock (80 km from Samara) in 1937 was the saving grace of a species on the brink of extinction. Starting with 13 zebra, the population within the park now numbers more than 350. In 2016, the Cape Mountain zebra was downlisted from Appendix I to Appendix II of CITES, due in large part to preservation of habitat favoured by the species and subsequent population growth. Narrow black and white stripes cover the body and extend right down to the hooves. The stripes on the Cape Mountain zebra’s side do not join under the belly. Mountain zebra occur on mountainous slopes and plateaus, up to 2,000 m above sea level. Herds consist of tightly-knit social groups of up to 15 individuals, including a stallion, several mares and their foals. The Cape Mountain zebra is typically slightly smaller than the Plains zebra, but with longer, more donkey-like ears.  They usually also have defined dewlaps. Do you have any other tips for identifying zebra species? Let us know in the comments! Samara Private Game Reserve is a luxury safari destination with a difference. Guests are invited behind the scenes of a passionate conservation journey to restore a unique South African wilderness. This genuine conservation participation, combined with heartfelt Karoo hospitality and breathtaking landscapes, offers a safari that feeds the soul. Follow Samara on Facebook, Instagram and Twitter, or click here to start your journey with us today.